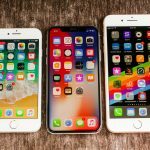 According to a statement by Apple Inc (AAPL) on Thursday, the number of suppliers, that use only clean energy for their production, has been almost doubled. 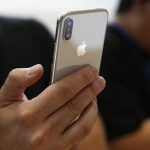 Apple said that 44 companies were now in its clean energy program, including Taiwan Semiconductor Manufacturing Co Ltd, the supplier of the A-series chips for Apple’s mobile devices, and Hon Hai Precision Industry Co Ltd, also known as Foxconn. Apple shares closed lower for the second time in the past twelve trading sessions on NASDAQ on Thursday. It has also been the steepest daily loss since March 26th. The stock went down 0.83% ($1.67) to $198.95, after touching an intraday high at $200.94, or a price level not seen since April 9th ($202.85). Shares of Apple Inc have added 26.13% to their value so far in 2019 compared with a 15.22% gain for the benchmark index, S&P 500 (SPX). In 2018, Apple’s stock went down 6.79%, thus, it underperformed the S&P 500, which registered a 6.24% loss. What Apple means by the term “clean energy” is all energy produced by wind, solar and bio-gas fuel cells as well as energy obtained through “low-impact” hydroelectric projects. 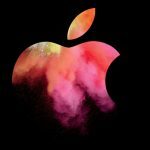 According to Lisa Jackson, Apple Inc’s vice president of environment, policy and social initiatives, the tech company is set to achieve its objective to add 4 gigawatts of renewable energy to its supply chain grids by the year 2020. 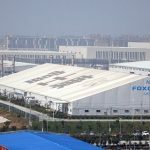 The representative, however, did not say if Apple would drop suppliers such as TSMC and Foxconn in case their commitments to the clean energy program are not met. “It took a while for them to come on board, and so we believe that now that they have, they’re fully committed to doing it,” Lisa Jackson was quoted as saying by Reuters. 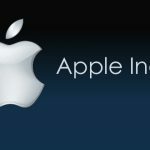 According to CNN Money, the 33 analysts, offering 12-month forecasts regarding Apple Inc’s stock price, have a median target of $197.00, with a high estimate of $245.00 and a low estimate of $140.00. The median estimate represents a 0.98% downside compared to the closing price of $198.95 on April 11th. The same media also reported that 18 out of 39 surveyed investment analysts had rated Apple Inc’s stock as “Buy”, while other 18 – as “Hold”. On the other hand, 1 analyst had recommended selling the stock.